There has been much discussion surrounding the possible implementation of e-learning days given the recent bout of bad weather. This hot topic was brought to the forefront this year with the many snow days (10 for Murray County Central so far) and extreme cold of the polar vortex. A few weeks ago, the Minnesota Department of Education held a webinar to explain what e-learning days are and to answer any questions districts had surrounding developing an e-learning plan. A discussion was also held at our last school board meeting to talk about what a plan for e-learning could look like at MCC. According to the state statue e-learning is “a school day where a school offers full access to online instruction provided by students’ individual teachers due to inclement weather.” The plan cannot exceed 5 e-learning days in a given year and must include accommodations for students who do not have internet access or digital devices available in the home. While the concept is simple, the implementation can be a challenge. To provide “full access online” would mean that all students have devices (computer/Chromebook/laptop) and that there is internet accessibility for every student. The statute language states that the district’s plan would have to accommodate for students without internet access or digital devices, so just because this could be the case for some students, it would not necessarily disqualify MCC from developing a plan. At MCC high school we are planning to be 1:1 by the fall of 2020. One to one means that every student has a device. While this would be the case for the high school, we would have to look at how to provide online instruction to our elementary students. At present we are looking into how other districts accommodate students without devices or internet at home and how they handle elementary e-learning days. 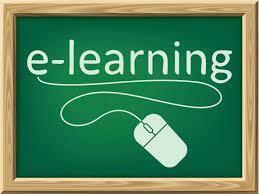 Other necessary components of “online instruction” for e-learning days include delivering the instruction using an online platform and making sure instruction is in sync with current learning happening in the classroom. At present, Google Classroom is a tool already being used by many teachers at MCC. This platform would aid students and staff in chatting and sharing pre-recorded lessons or videos. Google also offers “Hangout” or “Meet,” a live meeting format where a teacher could teach a lesson to multiple students. Assignments can be uploaded, submitted, and graded using Google Classroom with the ability to give live feedback. In order for our district to move forward with e-learning days all of the above components would have to be in place and our plan would need to receive state and school board approval. We are eagerly awaiting survey results from our community to determine access to internet and devices as well as support for moving forward with e-learning days in general.